Pambansang Bae Alden Richards seems bent on becoming an accomplished restaurateur with the opening of his Quezon City branch of Concha's Garden Cafè. 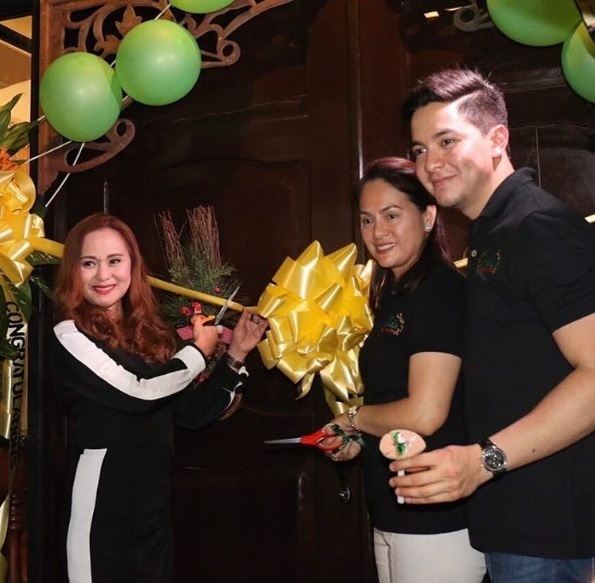 Surrounded by his family and friends, Alden was grinning from ear to ear at the blessing ceremony of his newest restaurant. Dabarkads Ruby Rodriguez and Baeby Baste were present at the festive occasion. Other Kapuso stars were in attendance including Ai-Ai delas Alas, Barbie Forteza, Kristoffer Martin, and Joyce Ching, among others. 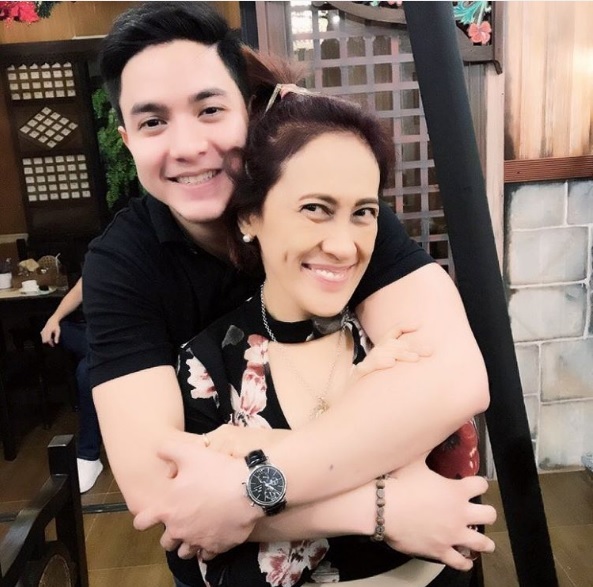 Ai-Ai posted a photo of Alden hugging her with the message:"grabe ang yaman mo na 2 na conchas mo maganda yan at least may business ka na ng bonggang bongga habang bata ka pa hataw .. so happy for you and proud of you CONGRATS". 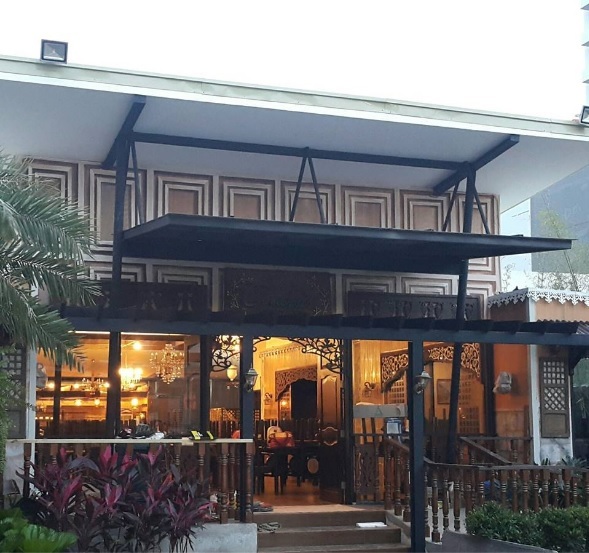 The comedy queen was referring to Alden's first Concha's Garden Cafe at Cliffhouse, Emilio Aguinaldo Highway, Tagaytay, which opened in April, 2016. 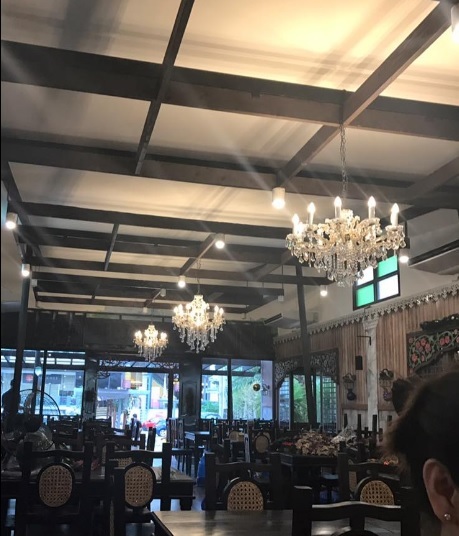 Just six months after, Alden revealed in a tweet about his second Concha's restaurant, this time in QC. Alden was a constant patron of the original Concha's, way before he became a big star via his love team with Maine Mendoza, now known here and abroad as AlDub. Concha's opened in October, 2014 in Silang, Cavite and was founded and conceptualized by Gemma Escueta Sembrano. Concha's Garden Cafe serves mostly Filipino and Spanish cuisine. But there are also some American, Chinese, and Italian dishes presented on its menu. Zomato estimates a meal for two at Concha's will cost around P1,200. Click HERE for their menu. Alden's newest Concha's Garden Cafe is located at 34 Scout Madriñan cor. Tomas Morato Extension,Quezon City. For more details, go to their Facebook page.